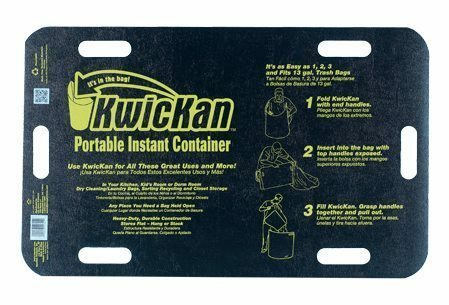 Kwickan Bag Holder by LTL Home Products, Inc.
Use Kwickan™ Instant Container for Bagging leaves, Grass clippings or other yard work. Also perfect for Party clean-up, Tailgating, the Beach or Camping. 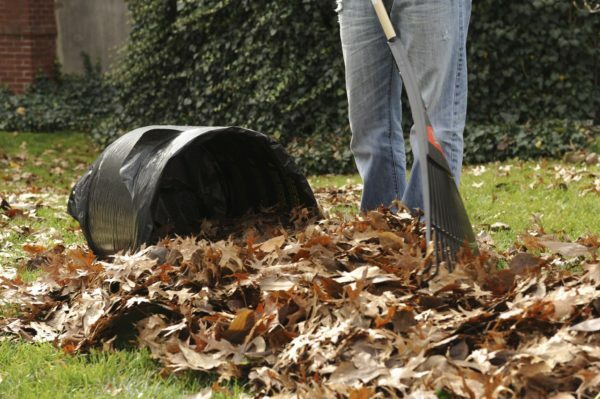 Stores flat and will hold open most 33 to 55 gallon (U.S.) plastic and paper lawn leaf bags. Kwickan™ is perfect for residential use and is durable enough for commercial projects. 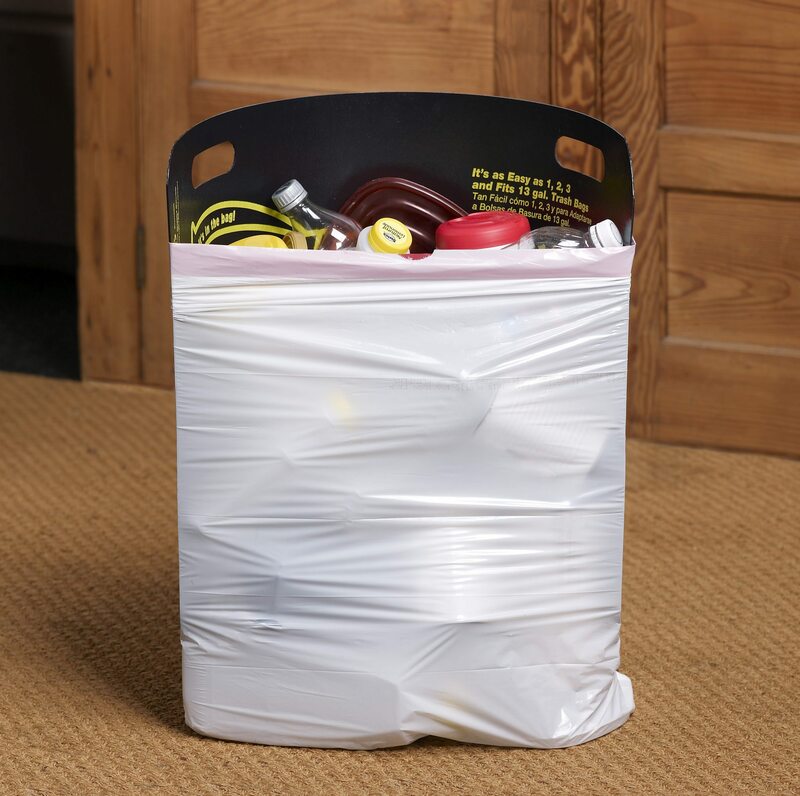 Holds most 33 to 55 gallon plastic and paper lawn bags open. Small size fits 13 gal. bags. Perfect for residential use and durable enough for commercial projects. Available in 3 sizes: Small (31″Lx19″Wx0.06″D), Large (47 ½”Lx28 ¼”Wx0.06″D) and the Special Sandbagger (31″Wx19″Wx0.06″D). 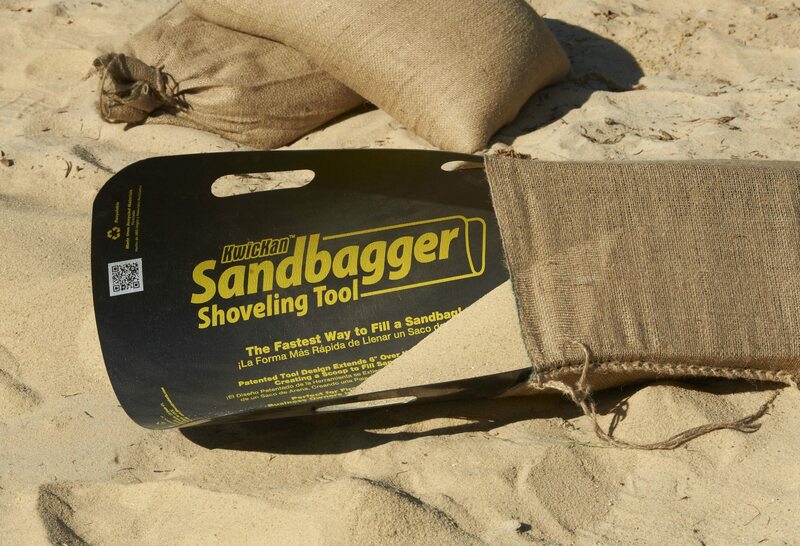 Sandbagger: The patented Sandbagger Kwickan™ is a one-person sandbag filling tool. 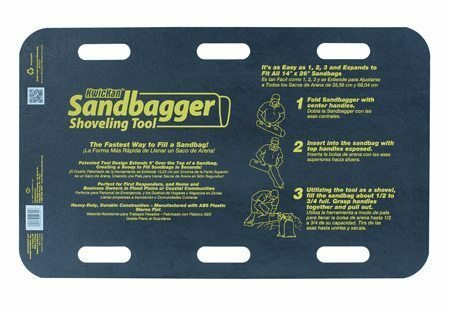 The Sandbagger Kwickan™ is lightweight, portable and reusable sandbag holder & shovel combination, designed to fit any size sandbag. This unique product eliminates the need for a second person to hold the sandbag during the filling process and easily increases the number of sandbags that can be put in place during an emergency by 300 percent. The patented design of the Sandbagger Kwickan™ allows for flat storage and features a 6-inch extension beyond the sandbag height, creating an instant shovel for fast and easy loading of a sandbag. The Sandbagger Kwickan™ is constructed from recycled ABS plastic. 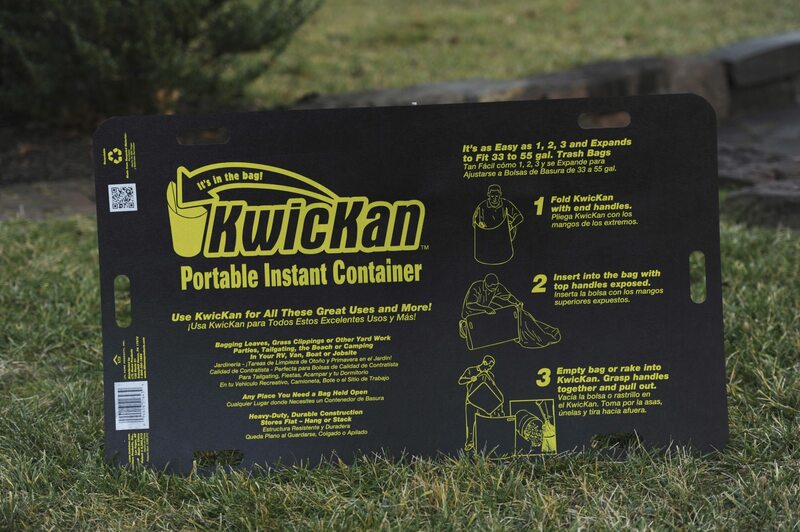 The Sandbagger Kwickan™ will work with any type or sized sandbag and or (wet or dry) fill.